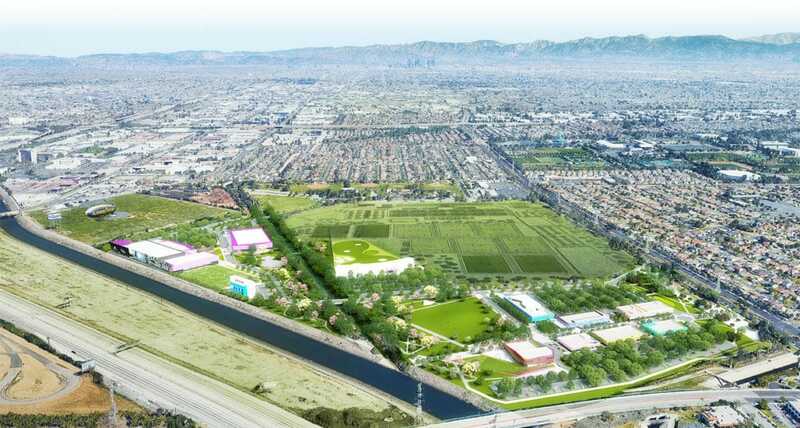 A new iFLY location has been proposed as part of a development which will replace part of The Links at Victoria Golf Course in Carson, California - just south of Los Angeles. The initial study calls for a 7,500-square-foot, 65-foot-high vertical wind tunnel for indoor skydiving. Based on this description and the renderings from the project called The Creek at Dominguez Hills, this looks to be a 3 story tall SkyVenture wind tunnel.